The Tour de France is once again in full swing, and cyclists are pushing themselves to the limit while the daily challenges unfold. There’s no better time to explore the lessons that cycling and the peloton can teach us about leading and being part of a team! A “peloton” is the core group of riders in a road bike race. 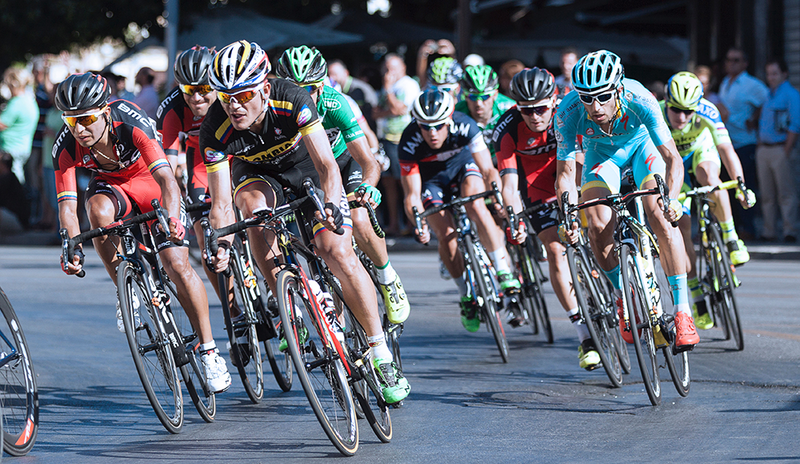 Cycling teams strategically align to give their leaders a competitive advantage. As a collective, a group of cyclists in a peloton resembles a superorganism. The group must remain constantly agile as they adapt to terrain and circumstance while remaining upright and moving forward. Every rider is united with a shared purpose: crossing the finish line. Within the group, various subgroups of teams share priorities, like getting a particular teammate into the best position to take a stage win. The peloton itself is a mechanism that allows riders to take turns expending more energy so other riders can conserve their energy. Riders at the front of the peloton catch more wind resistance, and those who draft behind them can save 20-40 percent of their energy. The constantly shifting dynamic of the peloton allows for frequent rotation of different riders into that most challenging spot at the front. Trust and communication are essential traits for successful cycling teams – and for successful organizations in general. Cycling teams must be strategic about whom they place at the front of the peloton and when; the teams must remain alert and responsive to how that person is performing to know when to make a change. In the peloton, leaders follow closely behind other riders on their team and conserve their energy for when it is needed most. What would happen in your organization if employees got a chance to lead the flow for a while? Giving employees a voice and acting upon their insights creates a shared purpose and a deeper sense of investment. Each day of the Tour de France, riders race 90-150 miles. In mountain stages, riders climb thousands of feet. These fantastic physical feats would not be possible without a laser focus on the end result. No one can spend all their time sprinting to the finish line. Organizations, like cycling teams, can only succeed if they focus on the long term. Every day is a new opportunity in a long endurance race. A team may perform strongly in one stage only to be devastated in the next. There is simply no time to gloat or rest on your laurels. Retaining your humility allows you to be more agile, receptive, and prepared for whatever is coming next. Waggl is the most human way for organizations to crowdsource feedback.